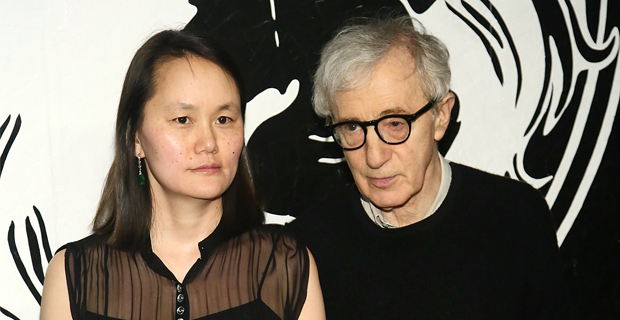 Los Angeles - Woody Allen never gives much information about his films in case they "don't deserve to be loved". The eccentric filmmaker always stays notoriously quiet about his planned productions - not even releasing the titles until shortly before release - and claims that is because he doesn't want to raise expectations he can't meet. He told the New York Post newspaper's Page Six column: "I dislike raising anticipation. Fussing over a movie? I hate to build up steam, tell people to see it. Maybe it won't turn out good. Could be terrible. If it's decent, we promote it. Once it's finished and deserves to be loved, I'm thrilled." The Midnight In Paris director claims he is constantly coming up with new ideas for movies, though they don't always turn out well. He said: "Hard is working up the new ideas. The early part, planning, takes months. Like, will that mesh? How's this fit? Can I go from one action to the other? I pace the streets, walk up and down in my room, stand alone, think, make tough decisions. It's difficult. "Writing's easy. Three weeks. Laying on my bed in the bedroom, I write with a ballpoint pen on a yellow legal pad. Then it's typed. "I'm always thinking up ideas. I jot them down on anything. A napkin, matchbox, then stick them in this drawer I keep in my house. Always writing notes, I never have to sit looking at a blank wall. I open that drawer, lay down on my bed and think. Some ideas turn out great, some not so good."